Our PVC Pipes is manufactured from Rigid PVC Compound, Which Fully meet the material requirements of ASTM D 1784 and as stated in relevant product standards. GHODRAN PVC PIPES (GPF) AS PER ASTM D 1785 SCH -40 AND SCH – 80. GHODRAN PVC PIPES (GPF) AS PER ASTM D 2665. GHODRAN PVC PIPES (GPF) PRESSURE PIPES AS PER BS 3505/3506 FOR WATER SUPPLY, IRRIGATION AND INDUSTRIAL USE UP TO 10” DIA PIPES. GHODRAN PVC PIPES (GPF) AS PER BS 4514 – FOR SOIL PIPES – ABOVE GROUND DRAINAGE APPLICATION. GHODRAN PVC PIPES (GPF) AS PER BS 5255 – FOR WASTE PIPES USED FOR ABOVE GROUND APPLICATIONS. GHODRAN PVC PIPES (GPF) AS PER BS 4660 AND EN 1401 – 1 (SDR – 41) FOR UNDER GROUND AND SEWER APPLICATIONS, i.e. DRAIN PIPES FOR GARDENS, FIELDS, DRIVE WAYS, YARDS AND SUB ROADS. GHODRAN PVC PIPES (GPF) AS PER DIN 19531 FOR ABOVE GROUND DRAINAGE APPLICATIONS. GHODRAN PVC PIPES (GPF) AS PER DIN 19534 FOR SEWER PIPE/ GRAVITY APPLICATIONS. Following Standard Electrical and Tele. Pipes & Ducts. GHODRAN UPVC CONDUIT PIPES (GPF) AS PER SSA 255 (BLACK PIPES) FOR ELECTRICAL APPLICATIONS. GHODRAN UPVC CONDUIT PIPES (GPF) FOR ETISALAT (FOR ELECTRICAL AND TELEPHONE DUCTS) AND DUCT FOR TEL MAT 1010. GHODRAN UPVC CONDUIT PIPES (BLACK COLOUR) (GPF) AS PER BS 6099 FOR ELECTRICAL APPLICATIONS. GHODRAN UPVC DUCT FOR BTC/1006/DUCT – 1994 – UPVC ELECTRICAL AND TELEPHONE DUCT. GHODRAN UPVC CONDUIT PIPES AND TUBINGS AS PER NEMA TC -2 EPC 40 – PVC FOR ELECTRICAL USE – FOR DIRECT BURIAL UNDER GROUND. GHODRAN UPVC CONDUIT PIPES AND TUBINGS AS PER NEMA TC -2 EPT A – PVC FOR ELECTRICAL USE – TO BE ENCASED IN CONCRETE. GHODRAN UPVC CONDUIT PIPES AND TUBINGS AS PER NEMA TC -2 EPC 80 – PVC FOR ELECTRICAL USE. GHODRAN UPVC UTILITY DUCT AS PER NEMA TC 6 PVC TYPE EB – 20 AND ASTM F 512 – ELECTRICAL USE – ENCASED BURIAL. GHODRAN UPVC UTILITY DUCT AS PER NEMA TC 6 PVC TYPE DB – 60 AND ASTM F 512 – ELECTRICAL USE – DIRECT BURIAL UNDERGROUND. GHODRAN UPVC UTILITY DUCT AS PER NEMA TC 8 PVC TYPE EB – 35 AND ASTM F 512 – ELECTRICAL USE – ENCASED BURIAL – TO BE ENCASED IN CONCRETE. GHODRAN UPVC UTILITY DUCT AS PER NEMA TC 8 PVC TYPE DB – 120 AND ASTM F 512 – ELECTRICAL USE – DIRECT BURIAL – FOR DIRECT BURIAL UNDER GROUND. Standard 6-meter length (other lengths available on request). Pipes are supplied with integral parallel sockets for Solvent Weld Jointing, Rubber Ring Joint Pipes or Pipes with Plain ends. All values shown in table at 23 Celsius unless otherwise specified. Note: This Data is based on information obtained from samples tested or provided by material manufacturer. It should be used as general recommendation only and not as a guarantee of performance or longevity. EN 1401 – 1 (SDR – 41) FOR UNDER GROUND AND SEWER APPLICATIONS, i.e. DRAIN PIPES FOR GARDENS, FIELDS, DRIVE WAYS, YARDS AND SUB ROADS. 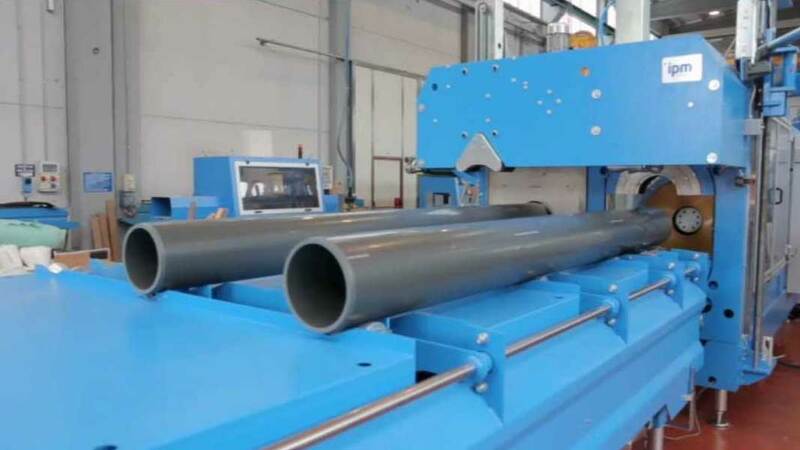 Ghodran PVC Pipes manufacture on High performance extruders with advanced process control and monitoring system permit increased rate of production over the entire diameter ranges, adhering to the highest quality. 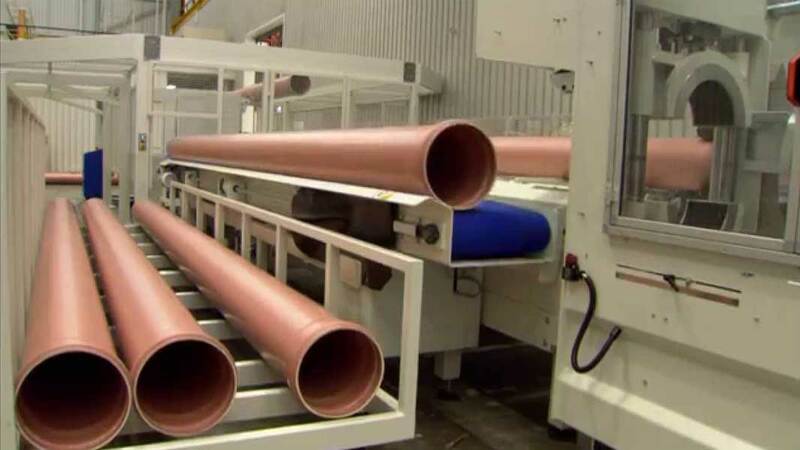 At Ghodran Factory, sophisticated quality control procedures and advanced manufacturing techniques work hand in hand to assure the highest quality and dimensional consistency in thermoplastic piping products. This is our long-term commitments to the customers, from the receipt of Resins to the final stages of productions, Ghodran Pipe factory maintains stringent quality control program by qualified technical personnel using sophisticated procedures, with latest equipment. By both online QC checks and in lab tests are conducted. Ghodran Pipes subjects its full line of Pipes to Hydrostatic Pressure test as per the design data, to check the suitability of the product to the applications. Ghodran Pipes Laboratory is well facilitated to confirm that the products manufactured are to standard specifications. Unplasticised PVC is one of the most important developments of last few decades as it reduces the cost and improves the reliability of pipeline installations. The properties can be varied by small additions of modifying agents which have definite and controlled mechanical properties. They can be fabricated to close dimensional tolerances, light without being weak, rigid without being brittle. Furthermore, this material can be converted in to pipes and fittings by very direct process of extrusion or injection moulding even though these processes demand heavy elaborate machinery and very precise process. The principal reason for the great economy of Ghodran pipes is not so much their cost per meter as delivered to site but rather the dramatic, reduction in installation costs which can be achieved by intelligent exploitation of their light weight, availability in longer lengths, ease of jointing and their immunity from corrosion. These characteristics are of even greater importance of engineers now that the need to carry out water supply and sewerage schemes, industrial plant installations, etc. at minimum cost and maximum reliability. GHODRAN UPVC pipes resist corrosion caused by acid, alkalis, oils, salts, moisture and the media inside and outside the pipe. It is particularly reliable for resistance to the severe climatic and soil conditions in Saudi Arabia. GHODRAN UPVC pipes are entirely non – toxic. It will not affect the taste, smell or color of water or liquid non-react with any liquid to cause a precipitant. GHODRAN UPVC pipes have smooth surface which minimize resistance and impede the buildup of deposits and corrosive scales. GHODRAN UPVC pipes have great tensile strength yet they are flexible enough to withstand displacement in the pipe line. They will not dent or flatten under pressure. GHODRAN UPVC pipes are incredibly light. Their specific weight is one fifth of steel pipe. This cuts down transportation costs and facilitates the installation of pipes and reduces its cost. GHODRAN UPVC pipes are quick and easy to install, with a range of fittings, using solvent cement or rubber joints. Joints are leak-proof. UPVC pipes can be cut easily for installation. GHODRAN UPVC pipes can be quickly repaired with a minimum of complications or cost. GHODRAN UPVC pipes will not support combustion. In event of fire, flames are unable to travel along the pipe. It is self-extinguishing. GHODRAN UPVC pipes are ideal for electric conduits. Because uPVC in itself an integral insulator, it eliminates the possibility of electrolytic corrosion which so often destroys underground piping. Non- Toxic GHODRAN UPVC pipes will not affect the taste, color or smell of drinking water. They will never corrode and are therefore extremely sanitary. Deposits and scales will not build up inside as in the case for conventional steel pipes. Their strength is greater than that of asbestos pipes. GHODRAN UPVC pipes are ideal for agricultural irrigation and sprinkler systems. Non- corrosive and perfect for carrying water which contains chemical fertilizers and insect inhibitors. In thick wall and large diameter GHODRAN UPVC pipes liquids can be transported under high pressure, which is convenient for the management of large farms. Engineering difficulties and the probability of the adverse chemical reactions, make it impractical to overcome corrosion and encrustation through the use of protective coating, chemical treatment or cathodic protection. 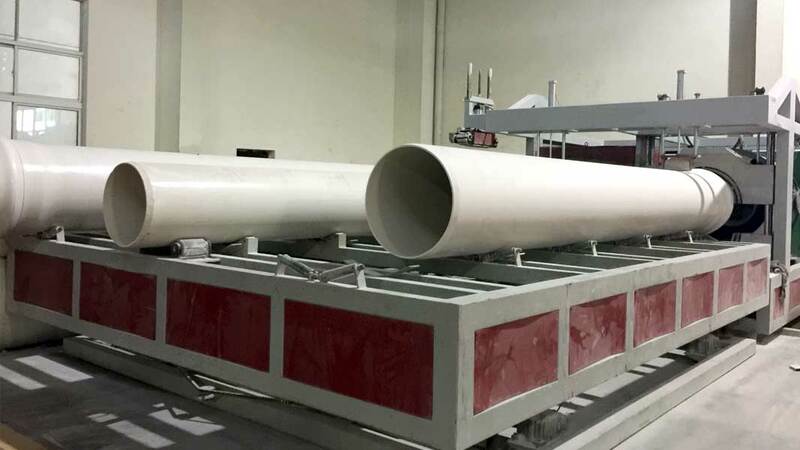 Thus, GHODRAN non – corrosion PVC pipes for water well casing and screens rapidly received approval by appropriate ministry consultants and engineers. Resistant to most chemicals, GHODRAN UPVC Pipes have an important role to play in industrial plants. Light, non – corrosive and easy to assemble, they allow more complex piping work than with steel or cast – iron pipes. Waste lines for corrosive gases, ventilation for office buildings and factories; drainage system for private homes and elevated highways, these are few of the many possibilities for GHODRAN UPVC pipes. GHODRAN uPVC pipes particularly are well suited for drainage corrosive liquids found in mines. They make ideal vent lines for pits because they are easily installed in hard to reach places. GHODRAN UPVC Pipes and conduits form an integral insulator, hence there is an ever – increasing demand for them as electrical conduit. To facilitate work, a full line of range is available and even fabricate fittings from the same material as the pipes.